408 pages | 16 Color Illus. | 39 B/W Illus. 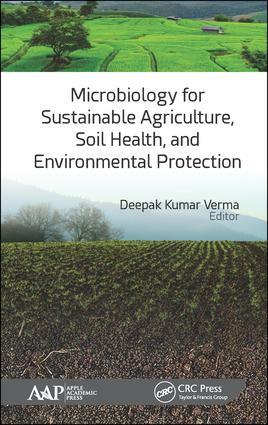 Deepak Kumar Verma is an agricultural science professional and is currently a PhD Research Scholar in the specialization of food processing engineering in the Agricultural and Food Engineering Department, Indian Institute of Technology, Kharagpur (WB), India. In 2012, he received a DST-INSPIRE Fellowship for PhD study by the Department of Science & Technology (DST), Ministry of Science and Technology, Government of India. Mr. Verma is currently working on the research project "Isolation and Characterization of Aroma Volatile and Flavoring Compounds from Aromatic and Non-Aromatic Rice Cultivars of India." His previous research work included "Physico-Chemical and Cooking Characteristics of Azad Basmati (CSAR 839-3): A Newly Evolved Variety of Basmati Rice (Oryza sativa L.)". He earned his BSc degree in agricultural science from the Faculty of Agriculture at Gorakhpur University, Gorakhpur, and his MSc (Agriculture) in Agricultural Biochemistry in 2011. He also received an award from the Department of Agricultural Biochemistry, Chandra Shekhar Azad University of Agricultural and Technology, Kanpur, India. Apart from his area of specialization in plant biochemistry, he has also built a sound background in plant physiology, microbiology, plant pathology, genetics and plant breeding, plant biotechnology and genetic engineering, seed science and technology, food science and technology etc. In addition, he is member of different professional bodies, and his activities and accomplishments include conferences, seminar, workshop, training, and also the publication of research articles, books, and book chapters.